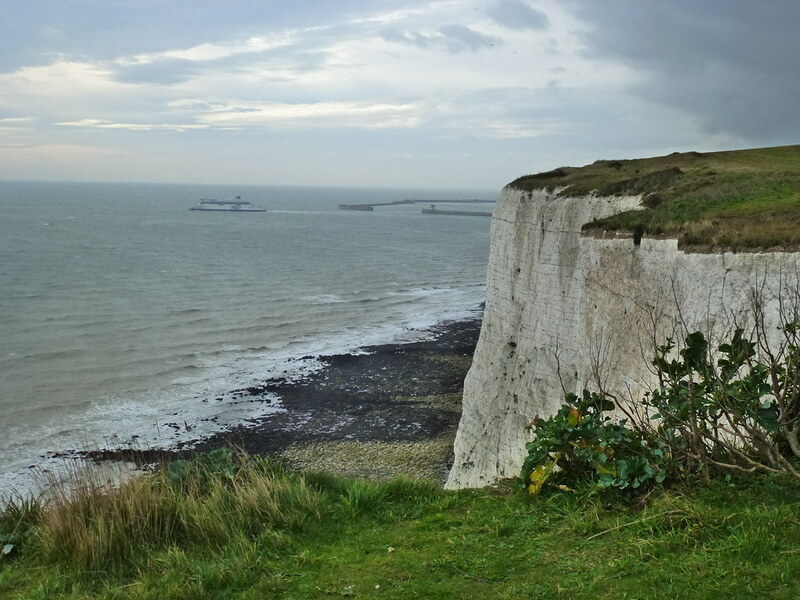 You’ll start the South Foreland Lighthouse walk at the entrance to the White Cliffs visitor centre. Housing a wonderful cafe and information hub, this clearly marked route along the edge of the North Downs is a great walk whatever the time of year. 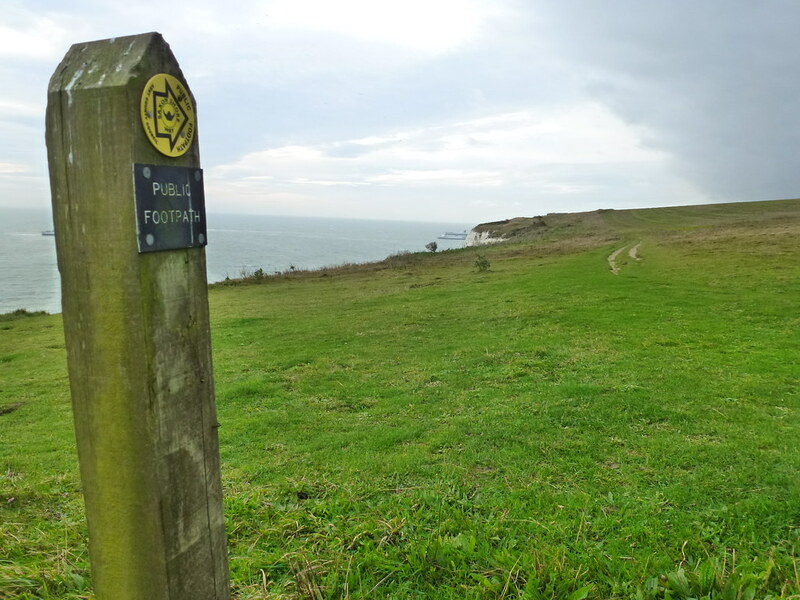 The South Foreland Lighthouse walk forms part of the England Coastal Path and the Saxon Shore Way. 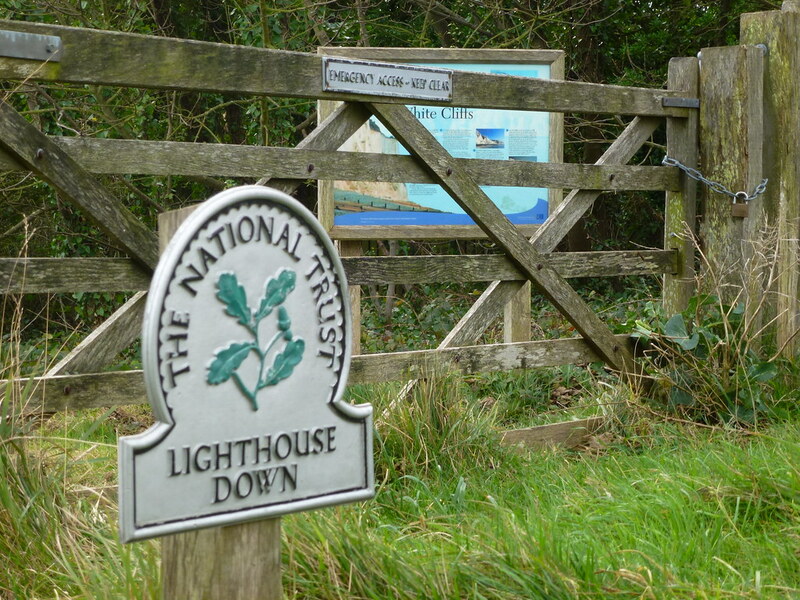 It leads around Langdon Hole and Fan Point towards the National Trust’s South Foreland Lighthouse complete with 1950’s tearoom! This section of the cliff tops was an important part of England’s defences in the Second World War, and remnants of gun emplacements and other wartime structures are still visible. Langdon Hole was part of an underground system which also included a radio command centre, the underground tunnels, known as Fan Bay Deep are open for visitors at selected times. 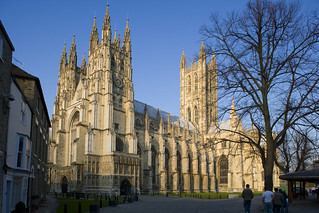 Tickets at the National Trust visitors centre nearby £10 adults £5 children. The distinctive South Foreland Lighthouse is bright white and was built in 1843, to mark the dangerous offshore banks of the Goodwin Sands. It was used by Guglielmo Marconi for his work with radiowaves and received the first ship-to-shore message from the East Goodwin lightship. It also received the first international radio transmission from Wimereux, in France, in 1899. The lighthouse, which is conserved by the National Trust, is open to the public between April and October. Be sure not to miss out on the wonderful 1950’s Mrs Knott’s tearoom for a slice of cake! 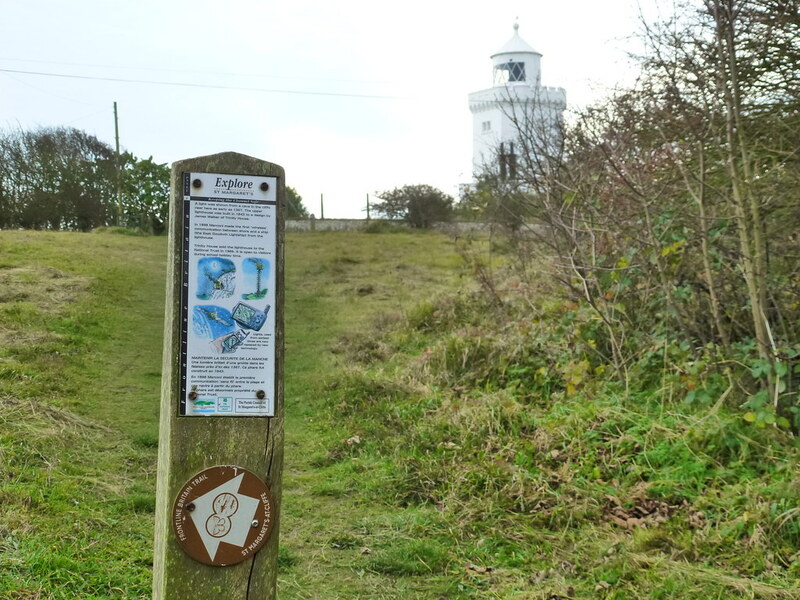 Named after the family who used to live here with their 13 children, this vintage experience is a lovely addition to the South Foreland Lighthouse walk. Think the South Foreland Lighthouse walk is in great condition? 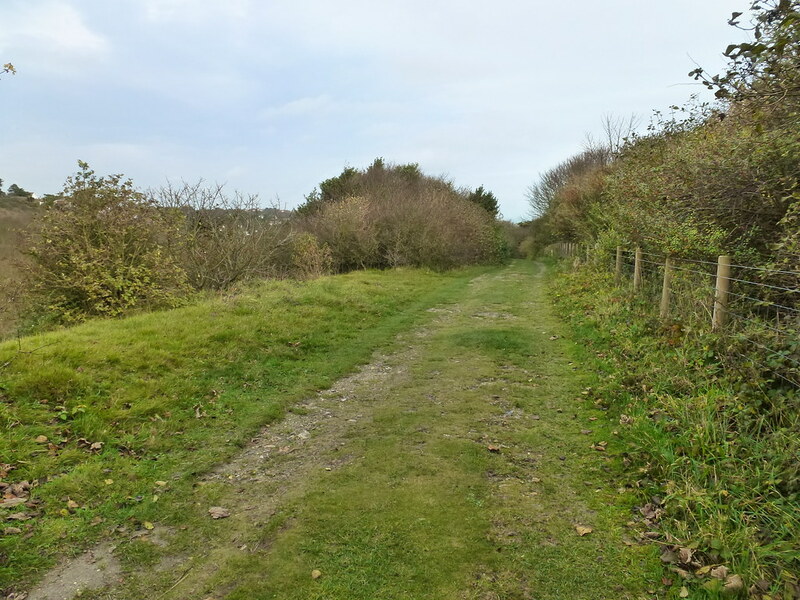 White Cliffs Countryside Project preserves and enhances the heritage coast and countryside of Dover and Shepway districts, working towards making them accessible to all. Please note a large cliff fall on 23 August 2013 has resulted in the collapse of section of footpath ER269 leading down the cliff at Langdon Bay. Please be aware that if walking along the beach from St Margaret’s, this escape route is no longer in place. To you ensure you avoid being cut off by the tide download this map of Langdon Cliffs. With the visitor centre on your left, follow the wide surfaced path up a slight incline. Proceed for approximately 200 metres and then go through a narrow gap. From here bear slightly left at the milestone and waymarker to walk along a grassy path that goes up a long moderate slope for around 300 metres. 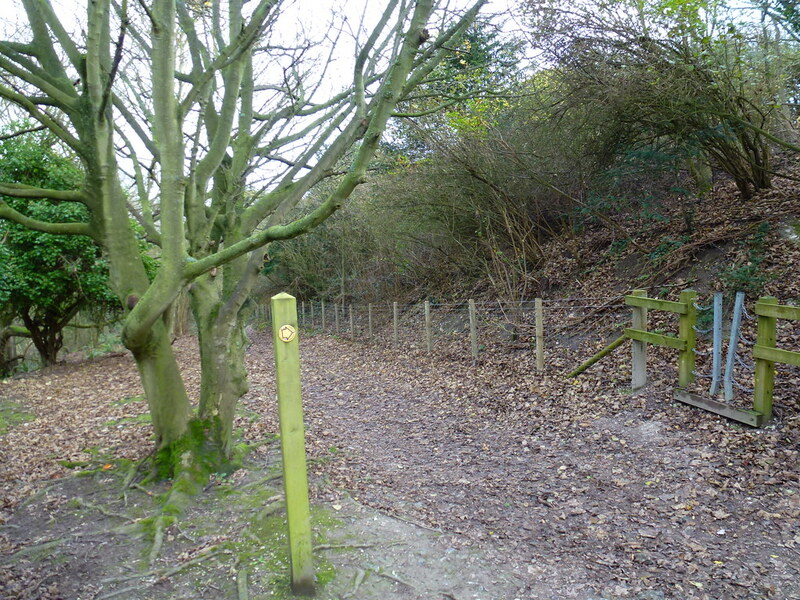 (You can also take the surfaced path on the right which becomes grassy and links up to the main path). At the top of the hill go through kissing gate. Along this section you can admire excellent views across the White Cliffs and Langdon Hole. Langdon Hole. After passing through the kissing gate there are a number of narrow paths that can be followed as you walk downhill with a number of benches if a rest is required. After 150 metres head down a long flight of steps. From here follow waymarkers for about 300 metres around Langdon hole. This section of undulating path has some short steep gradients, and can become narrow in places. Take care: The sections of bare earth and bedrock can be very slippery when wet. 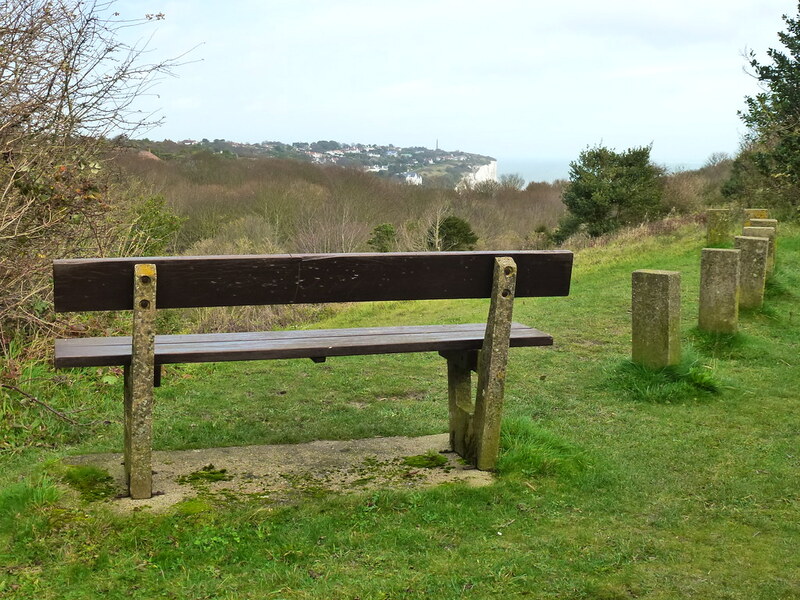 After walking around Langdon Hole, cross over a stile where you can enjoy some stunning views across the white cliffs. Cliff top path to South Foreland lighthouse From here all the way to South Foreland Lighthouse (approx. 2km) the path winds its way along the top of the white cliffs. Throughout this long section gradients are generally slight to moderate. There are multiple paths that can be walked, but these all tend to follow the same direction. At Fan Point, the path runs alongside some farm land. There are good views of Fan Bay below. Along this section there are also numerous viewpoints across the English Channel and to France beyond. Nearing the end of the outward part of the walk the route bends inland up a moderate gradient along the edge of some farm land before going through a gap. 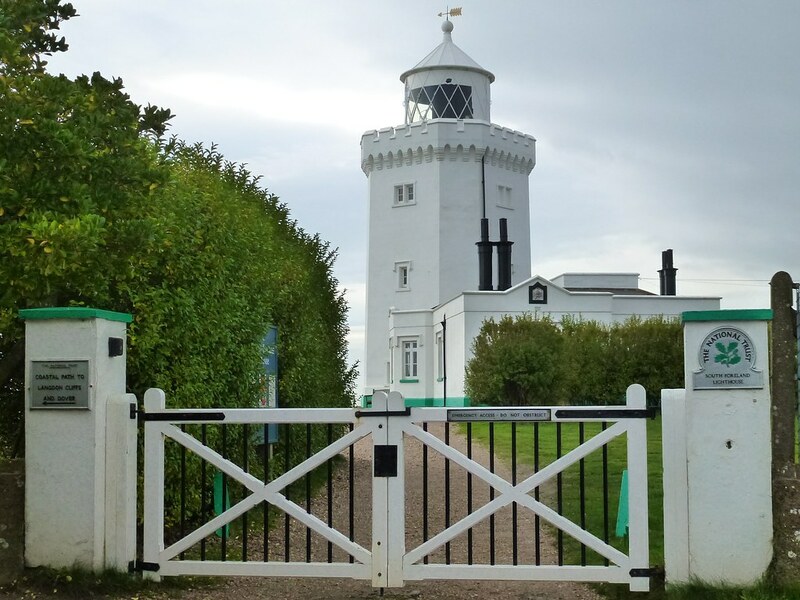 Here you have the option to visit the fantastic South Foreland Lighthouse before retracing your steps back along the cliffs to the visitor centre where you started.